Ivanka Trump's jewelry company used the future first daughter's "60 Minutes" appearance Sunday to promote a high-end bracelet from her fashion line. After the appearance, several journalists reported receiving a "Style Alert" email that publicized a $10,800 diamond bracelet sold on Ivanka Trump's website. "Ivanka Trump wearing her favorite bangle from the Metropolis Collection on '60 Minutes,'" the email read. Donald Trump's business interests have become troubling for experts in government ethics. 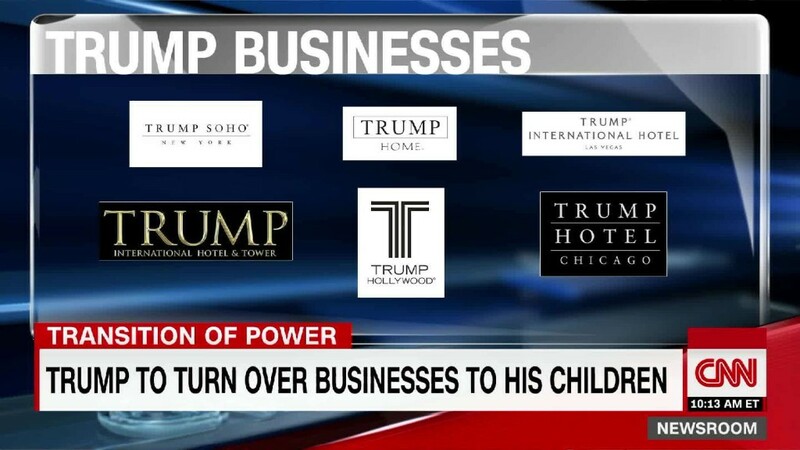 He has said he would hand control of his companies to his children, a decision experts say does not go far enough to separate Trump from his business operations. But Ivanka's position is more muddled. Though she is not an elected official, she will be closely related to one. She also advised her father during his campaign and is now serving on his transition team. Abigail Klem, president of the Ivanka Trump brand, released a statement following the bracelet email that said it was sent by a "well-intentioned marketing employee" following "customary protocol." The employee, Klem wrote, "like many of us, is still making adjustments post-election. We are proactively discussing new policies and procedures with all of our partners going forward." The email was not the first time Ivanka Trump has used her father's political pursuits to promote her own business. A tweet published from Ivanka's account after her speech at the Republican National Convention invited followers to "Shop Ivanka's look."